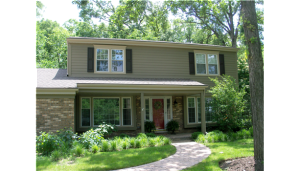 If you live in the north or north shore suburbs of Chicago, and you are replacing one or more windows in your home, you may have already learned the decision is not easy. There are many different types, styles and brands available. 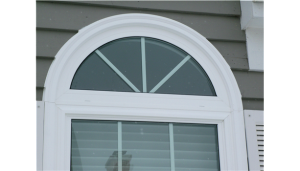 Use our experience and expertise to help you with the window selection. 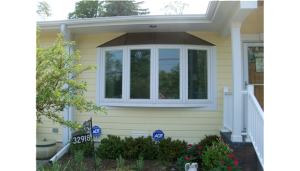 Contact Wilson Home Restorations to discuss the type of window you need, style preferences and budget. We’re happy to provide information about brand quality, brand reputation, ease of installation, installation costs, and more—so you can make an informed decision. 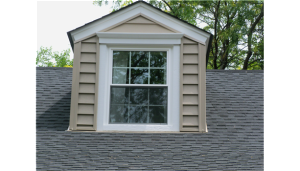 We’ll do our Wilson Home Restoration best to open the door to window savings and the best way to protect and increase the value of your home. 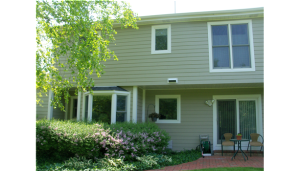 Located on W. Commercial Dr. in Mundelein, we’re not limited to one manufacturer and we have a showroom that allows you to view products in person before buying. Show up and we’re happy to show off. 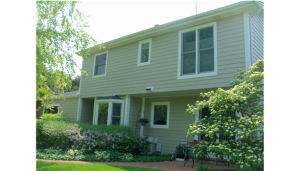 Wilson Home Restorations offers a premium fiberglass window, manufactured with the replacement customer in mind. 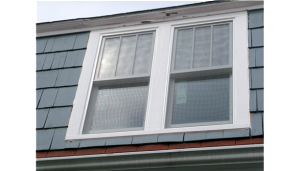 The product combines functional benefits with design benefits for the ultimate balance in performance and aesthetics, for the homeowner who needs and values a high quality window. We also offer a sliding patio door. 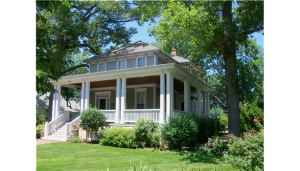 Wilson Home Restorations use only reliable, high-quality, well-known brands that offer window systems that you can trust, including Pella, Sunrise, Beechworth and Marvin Windows and Doors. 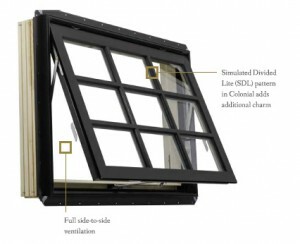 Each brand offers a unique selection of windows available in various exterior colors, with options for complementary hardware, grilles and grille patterns, interior finishes and double pane, energy efficient glass packages. 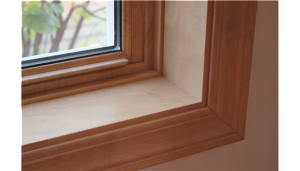 Awning Style Windows from Beechworth. Wilson Home Restorations sells and installs Pella ProLine 450 Series, Pella Designer Series and Pella Architect Series [PDF catalog], the inspired approach and refined aesthetics of styles, finishes and hardware from Beechworth Windows [PDF catalog] as well as quality products from Sunrise Windows [PDF Catalog] and Marvin Windows and Doors [PDF catalog]. 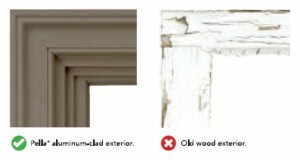 Wood window styles from Pella. 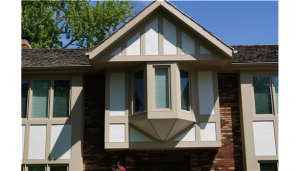 Strong and durable fiberglass is complemented by the warmth and character of a true wood on the inside, so homeowners reap the benefits of the low maintenance exterior and a beautiful interior. Interiors come pre-finished, primed or bare for flexibility on staining or painting. 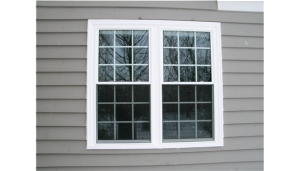 Will replacing your current window require an insert or full replacement? 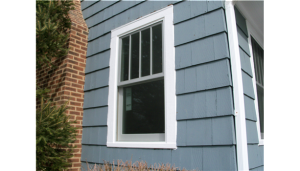 Is there a rotten wood frame or metal frame on your existing window? Does the interior need to be a specific color or will all- white suffice? 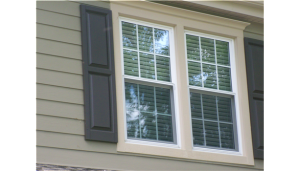 Do you want your windows painted or stained? Would you like shades or blinds between the glass?